The metal, Copper, has long been used for making vessels and in fact, is a very beloved metal for those who still use it for storing water. Copper utensils, especially the ones used for storing water, are very popular among people all around the world. 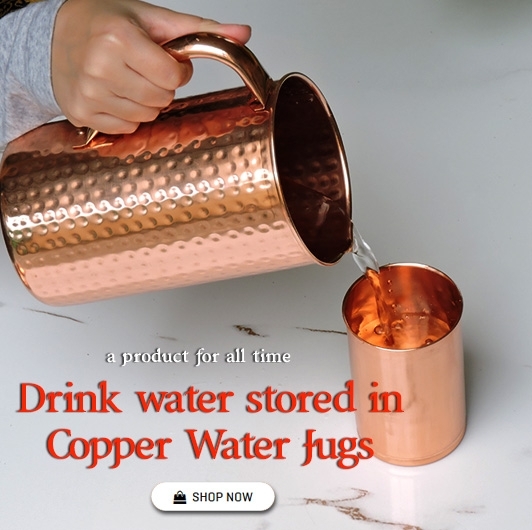 Copper pitchers are a great option for those who want to reap the benefits of copper treated water and improve their overall well being. Water stored in copper pitchers is filled with natural healing properties and is also preventive in nature. Below we have mentioned some of the reasons why you must invest in a pure copper pitcher. 1. Improves the digestive system-The oligodynamic nature of copper help with killing harmful bacteria and minimize inflammation within the stomach, making it the perfect remedy for treating stomach related issues. Copper also helps with detoxification of the stomach, regulates the functioning of the kidneys and liver and proper elimination of waste from the body and ensures the nutrients get absorbed really well in the body. 2. 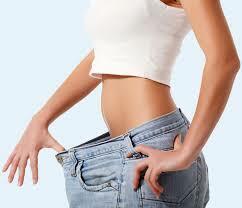 Helps with weight loss- If you want to lose weight fast, drink water stored in a copper vessel on a regular basis. Copper-infused water not only fine-tunes your digestive system, it also helps the body to break down fat cells and eliminate them from the body more efficiently. 3. Slows down the process of aging- If you are concerned about the appearance of aging signs on your face, then copper water is the remedy you need. Copper water has strong anti-oxidant and cell forming properties, which help fight free radicals, one of the main reasons which causes fine lines and wrinkles. 4. Maintains good heart health and prevents hypertension- Heart diseases are becoming very common these days. Regular and sufficient consumption of copper water can help minimize the risk of developing such diseases. It has been found that copper may help regulate blood pressure and heart rate and lower the level of bad cholesterol.